Today's telco infrastructure is lacking the controls needed to stop the scammers, let’s leverage smart logic within our phones to help. Each day, like many of you I get multiple telemarketing scam calls at my home, work, and mobile phones. The calls range from efforts to try and sell health insurance, to the bolder, where the caller states our computer is hacked and they offer to resolve it, for a fee. I find almost amusing since the technical non-sense they provide is laughable. These calls are a waste of time and very frustrating because they are such a distraction and the volume of calls continues to increase. Like many, I have tried numerous times to stop the calls. I have gone in one-by-one and blocked those phone numbers. I tried answering and trying to get removed from the calling. 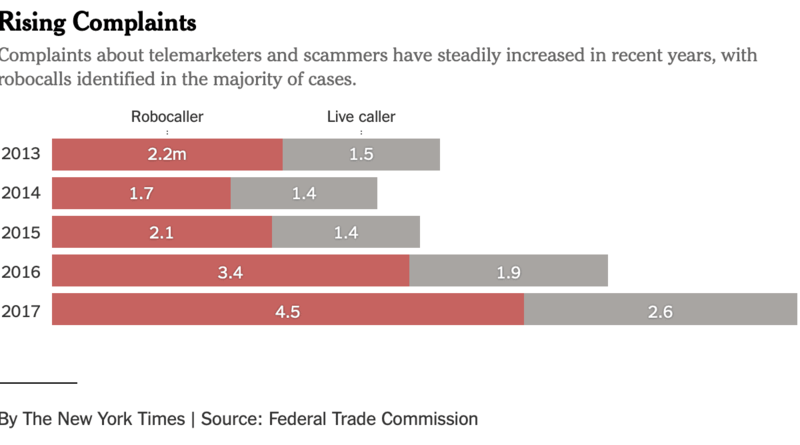 Unfortunately, the scammer’s are highly motivated and often are coming from outside of the United States. They also leverage a technique called spoofing where scammers change the number on caller identification. These sorts of calls look like a local call or that it is coming from someone you trust, like a local business. The other challenge is the telco industry is not currently able to stop them given the current technologies used across the globe. We need to leverage the capabilities in today’s modern smartphones to take a proactive approach to the call processing flow, reducing or removing these. I lock my front door, to gain entry into my home requires that you knock and I get to select if I want to open the door or not. In some scenario’s I will give some folks the key, and they are allowed in any time. With the powerful capabilities of today’s phones we should be able to leverage some call flow automation to handle calls based on some simple rules that would be defined within the contact database. 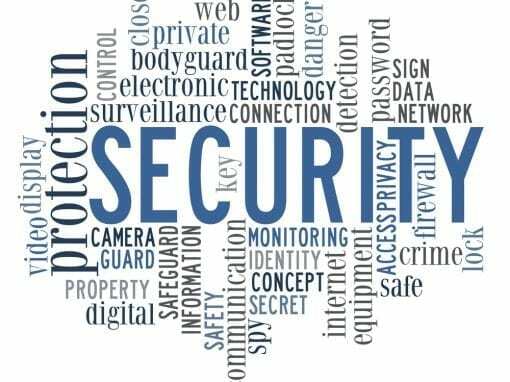 One risk to consider is that our contact lists must be secured since they will be a primary target. If we can implement a basic set of rules, it would be reasonably easy to implement and leverage. 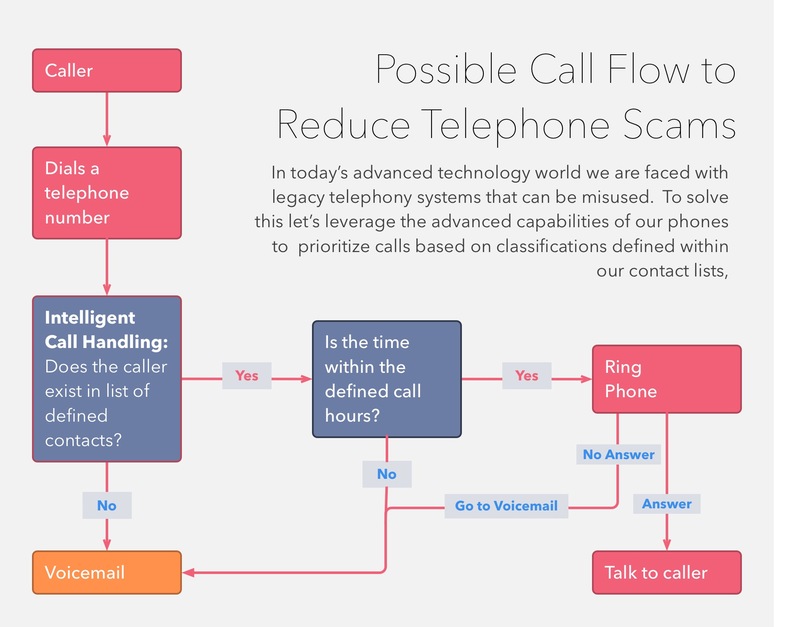 Take a look at one possible call flow logic that could help reduce telephone scams. To provide more proactive notifications of calls that may be important, we could leverage Artificial Intelligence and Machine Learning tools to monitor and take actions on each voicemail. Don’t answer calls from unfamiliar numbers, if it is someone you know or a critical call they will leave a voicemail. You can then add that number in your contacts for the future if the caller may call again from that number. Make sure you are on the “Do Not Call List.” While it will stop legitimate organizations, it will not stop those operating with malicious intent. When possible make sure you report illegal robs-sals calls at complains.donotcall.gov. What are your thoughts on trying to stop the telemarketers and scammers from flooding our phones? Warning phone scammers are spoofing the Nassau County Police Department numbers posing as an officer or employee. As your planning out your overall usage and governance goals for Microsoft Teams Private channels will offer a great way to design a broader Team while having some additional levels of security for certain conversations.